ViiV Healthcare today announced 48-week results from the phase III BRIGHTE study of investigational fostemsavir in heavily treatment-experienced (HTE) patients with HIV-1 infection. Fostemsavir, in combination with optimised background treatment (OBT), maintained virologic suppression from Week 24 to Week 48 in this difficult-to-treat population. Results show 54% of patients in the randomised cohort (n = 146/272) achieved virologic suppression at 48 weeks of treatment with fostemsavir plus optimised background therapy. Additionally, patients in the randomised cohort showed immunologic improvement through week 48 as demonstrated by an increase in CD4+ T-cell counts (mean change from baseline of +139 cells/µL). These data at 48 weeks build on the primary endpoint data (day 8) announced last year. Most patients who received fostemsavir experienced at least one adverse event (AE) by week 48. The most commonly reported drug-related AEs were diarrhoea, nausea and headache. Thirty-five percent of participants had one or more serious adverse events (SAE), most commonly related to infections, and these occurred in the most immunocompromised patients. Three percent (3%) of SAEs related to the study medication, and seven percent (7%) of participants discontinued due to an AE. Searching for new ways to prevent the HIV virus from replicating is important, especially for those who develop resistance to their treatment regimens. Fostemsavir is a prodrug that is metabolised to the active compound, temsavir, a first-in-class attachment inhibitor that binds to glycoprotein 120 (gp120) on the envelope of the HIV, locking gp120 in a conformational state that inhibits initial interaction between the virus and host immune cells, preventing viral attachment and entry into the host CD4+ T-cell. Because of its mechanism of action there is no in-vitro cross-resistance to other classes of ARVs, which may help patients who have become resistant to most other medicines. In addition to the primary efficacy results, a pre-specified subgroup analysis was also conducted and showed numerically higher rates of virologic response in patients more than 50 years, females, or in patients who self-reported their race as “black” or “African-American” compared to their respective counterparts through Week 48. Not unique to the BRIGHTE study was the fact that subgroups with high baseline HIV-1 RNA and low baseline CD4+ cell counts had lower rates of virologic response through Week 48. There were comparable increases in CD4+ T-cell counts across subgroups of: age, gender, race, and geographic region. Notably, subjects with the lowest baseline CD4 counts, had comparable improvement in mean change in baseline CD4 count to those with the highest baseline CD4 values; +145 and +150 cells/μL, respectively. BRIGHTE (NCT02362503) is a two-cohort (Randomised and Non-Randomised), phase 3 clinical trial evaluating the safety and efficacy of the HIV-1 attachment inhibitor fostemsavir in heavily treatment-experienced adults with HIV-1 infection. Three hundred seventy-one patients enrolled. All had documented resistance, intolerability, and/or contraindication to all ARV agents in at least four of the six available ARV classes. Patients in the Randomised Cohort had to have one but no more than two fully active ARV classes remaining at baseline and were unable to form a viable antiretroviral regimen out of their remaining agents. These patients were randomised 3:1 to add blinded fostemsavir or blinded placebo (n=272) to their current failing regimen for eight days of functional monotherapy. Patients without any remaining fully active approved ARVs (n=99) were assigned to the Non-Randomised Cohort and received open-label fostemsavir plus optimised background therapy on Day 1. The primary endpoint of the study was mean change in log10 HIV-1 RNA between Day 1 and Day 8 for the Randomised Cohort. Beyond the eight-day blinded period, all patients in the Randomised Cohort received open-label fostemsavir plus optimised background therapy. Key secondary endpoints include durability of response at Weeks 24, 48 and 96, as well as safety changes from baseline CD4+ cell counts, and emergence of viral resistance. Antiretroviral medicines have significantly decreased mortality over the past 30 years; however, treatment failure and antiviral resistance remain a concern for HTE patients and their providers. Failure of HIV medicines to control the virus can result in selected mutations resistant to one or more ARV medicines. Patient co-morbidities, tolerability, and safety issues may further decrease the number of ARV therapies available to design effective treatment regimens for these HTE patients. As a result, treatment options that address the complex needs of HTE people living with HIV remain a significant unmet need. Fostemsavir is an investigational prodrug of temsavir, a human immunodeficiency virus type 1 (HIV-1) attachment inhibitor class and is not approved by regulatory authorities anywhere in the world. Fostemsavir is being developed by ViiV Healthcare for treatment of HIV-1-infected heavily treatment-experienced patients in combination with other antiretroviral agents. 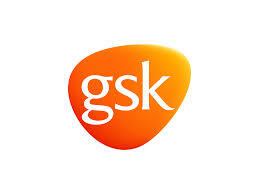 GSK cautions investors that any forward-looking statements or projections made by GSK, including those made in this announcement, are subject to risks and uncertainties that may cause actual results to differ materially from those projected. Such factors include, but are not limited to, those described under Item 3.D ’Principal risks and uncertainties’ in the company’s Annual Report on Form 20-F for 2017.